Jess Cerra is a rare case. Athletically, medically, she’s not like everyone else, and there’s both good and bad to that. Call it being in the right place at the right time, because it turned out that a fellow student needed volunteers to test an elite cycling supplement. Not a cyclist, but fit, Jess underwent the trial, stationary cycling both with and without the supplement … but there must have been an error. Her Vo2 test was that of a pro-cyclist. Dr. Jeanne Nichols, more senior in the lab, came to double check. No mistake, Jess blew a V02 max of over 65. From there, Dr. Nichols had an old Mountain bike and invited Jess to go for a ride, and eventually, at Dr. Nichols urging, Jess signed up for the Bonelli Park Mountain Bike race. With virtually no training, she placed second. And it grew from there. Back in San Diego, Jess opened a magazine at the gym that had an ad for the XTERRA National Championship, an off-road triathlon. She was more than intrigued, she was determined to do it. Never having done a triathlon, she crossed paths with Lesley Paterson, a pro tri coach, and Tammy Tabeek, an ex-pro downhill mountain biker. Lesley’s tri knowledge combined with Tammy’s mountain bike expertise put Jess, already athletically and physiologically gifted, even further ahead of the game. A month later, at her first triathlon, Jess finished in second place. 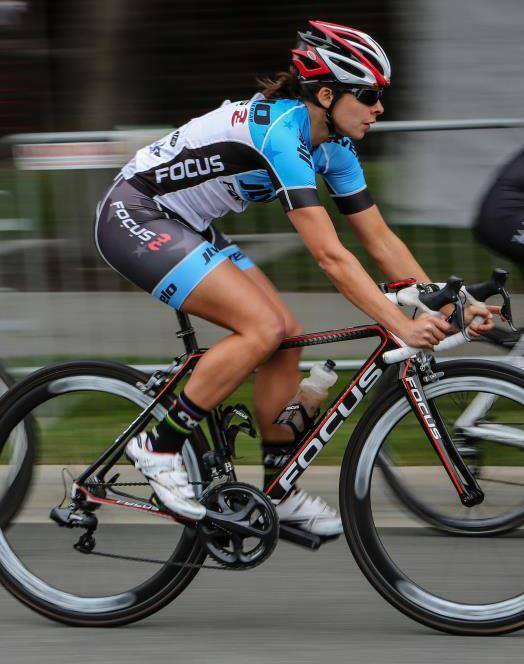 By 2010, she was posting the fastest bike splits for an amateur rider, despite riding on what she describes as an “old aluminum bike.” Focus Bikes took notice, offering her an official sponsorship deal. 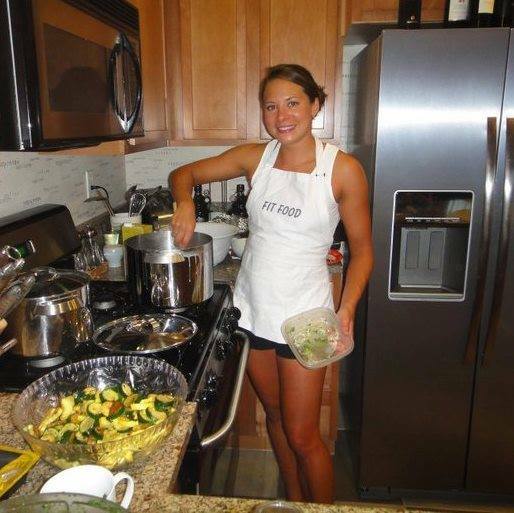 Shortly thereafter she won the overall female amateur title at the XTERRA Nationals at Snowbasin Ski Resort in Ogden, Utah, and in doing so, qualified for her first professional triathlon in Richmond, Virginia. Everything was good, better than good. But then came the bad. During the running portion of the Richmond tri (where, by the way, she finished in fifth place), Jess knew something was wrong. “My (right) leg was numb,” she said. Still, she continued to race through the pain, managing to finish in 10th place at the 2011 XTERRA Nationals and XTERRA Worlds in Hawaii. The morning after the race she went for a beach jog with her team, but she couldn’t make it more than three steps. She cried out in pain. Her calf felt like it was going to explode. Eight weeks of rest didn’t help. An MRI revealed nothing wrong, and Jessica was frustrated. She was referred to a radiologist, who put Jessica on a stationary bike to simulate the riding motion while administering an ABI (ankle-brachial index) test on her right leg. Given Jess’ max biking effort, the blood flow should have also been at a max, but the test showed nothing, no pulse at all. The doctor blamed a faulty machine, but when they tested the left calf, a pulse showed normal. Again, the findings were good and bad. The bad was that Jess’ iliac artery, which runs from the heart down through the legs, had hardened to the point that all blood flow had been cut off to her right leg. It’s a condition sometimes found in lifelong cyclists as the constant hunched-over position puts a lot of pressure against the abdomen area, where Jess’ artery was effectively blocked. Needless to say, nobody could believe that Jess had been managing to compete, and win, at such a high level with leg muscles that were almost completely devoid of blood flow and oxygen. The good part in all this was that they actually knew what was wrong now, and it could be fixed. Jess was sent to vascular surgeon Dr. Vince Guzzetta, who suggested the rare procedure of taking a vein from Jess’ quadriceps and using it to replace the damaged arterial area. Jess agreed to the procedure, but she also had her eye on the Mountain Bike Marathon Nationals in Bend, Oregon that was rapidly approaching. Ever the athlete, she had just one question for the doctor. You can imagine what this question must’ve sounded like to a doctor — this woman with an effectively blocked artery, who was getting no blood flow to her leg, which was perhaps, at least partly, the result of riding a bike, is now asking if she can continue … riding a bike? Competitively? Up and over a mountain? For 54 miles? Crazy as it seemed, the good doctor determined that one more race wouldn’t worsen the condition, and if Jess could tolerate the pain, she had his blessing. Jess immediately postponed the surgery until October and made her way to Oregon for the race. Everything was fine until mile 23, where she went down hard, crushing her shoulder against a tree. With 31 miles still to go, the medical station advised her not to finish, but she did anyway, the pain so crippling that she had to get off her bike and walk it on the downhill portions of the course to keep her shoulder still. After the race, urgent care revealed she had a Grade 3 separation of the shoulder and had torn all her shoulder ligaments. Thanks to the strong muscles she’d developed from swimming, Jess was able to avoid shoulder surgery, which was good, since the procedure on her artery, and subsequent recovery, proved to be far more intense that she had imagined. Her boyfriend and fellow cyclist, John Abate, stayed by her side as she slowly got better, and after six weeks, Jess was finally allowed 20 minutes on a spin bike. Less than five months later, she entered a small local road-bike race. This was a different animal than the triathlons and mountain bike races, but true to form, Jess was a quick study, advancing from a Category 4 ranking to a Category 2 in just a few months time, and shortly thereafter earning a spot on the prestigious SPY road bike team. These days, Jess works as a private chef and an exercise physiology and performance specialist, and she contributes to Triathlete Magazine under the blog banner, “Fit Food by Jess.” In fact, along with John (Abate), she has even developed her own energy bar, a Harmony Bar, www.harmonybar.net, which will hit the endurance foods market soon. And oh by the way, John and Jessica are now engaged. He proposed to her just before the one-year anniversary of her surgery … on a bike beautiful ride, of course.